Excuse my poor image quality! Since this scene is blocked off I had to grab it using remote play on PC and print screen keys! What’s going on TAY for some of you its been a while since you’ve seen me say a peep around here! I regret to inform you all that Evan has been murdered for his Open Forum spot and will not be returning. I have a red fang on my mantle as a trophy! As for the others you’re all new faces and I don’t really know you yet.... BUT I HATE EVERY ONE OF YOU! TURN BACK NOW AND DON’T COME BACK. Since the start of the new year it seems like I’m burning through games! 5 games in January is nothing to sneeze at! Though that could be attributed to some of them being short I managed too sink 110 hours into FFXV! What’s all this about adult responsibilities? Turns out you can still play a chunk of games if you limit yourself too less than 5 hours of sleep a night and skip sleep on weekends! Since I have been on an unbelievable hype train about Kingdom Hearts for who knows how long I try and go into new material calm and controlled. This unfortunately always falls by the wayside as soon as I boot up any Kingdom Hearts game be it a rerelease or not... Though even I have to admit I didn’t expect to love Kingdom Hearts 2.8 as much as I did. 0.2 has me more hyped than ever to play KH3 because the controls and camera are so damn refined. They’re honestly perfect where they’re at right now. 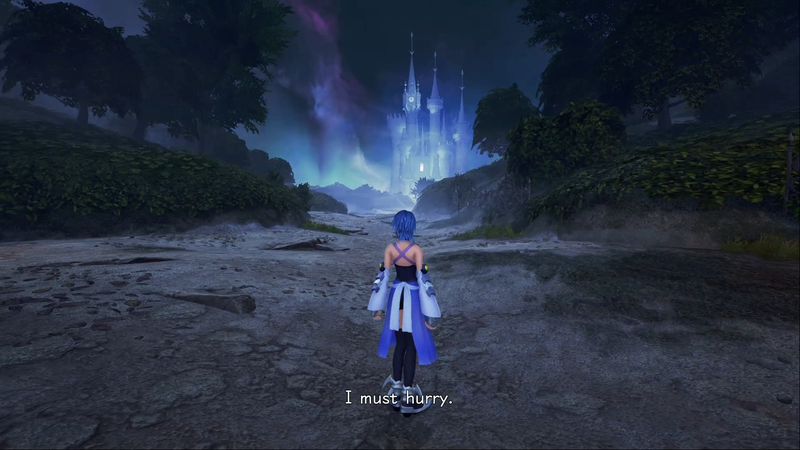 While I have a small amount of gripes with some of the gameplay aspects I couldn’t have imagined in my wildest dreams that a Kingdom Hearts game on a console would look and run so beautifully. With so many series getting follow ups this year are you usually cautiously optimistic about follow up entries to your favorite series? Do you throw all caution to the wind and allow the hype to carry you to the heavens and reach a sense of ecstasy that only the gods themselves can feel? Of course we can also do what got you into the idea of sTAYing here... No? Yes I know... I’m terrible! Seriously though all you new faces share up! Your stories are a part of TAYs identify and what makes this little corner of the internet great! Feel free to TALK AMONGST YOURSELVES or any pets you may have sitting around! Don’t forget that the Discord Chatroom is always around too for continuing, real-time conversations. If you wanted to give an admin, author, and/or friend a shout to tell them you love them and appreciate their internet availability: You can find them on the DirecTAYry Spreadsheet. Special thanks to a Supreme(TheLegendaryRedFang)Evan: King of the highest Horses for letting me take over for just a day!